The Right To An Answer was published on 23 May. The Times Literary Supplement reviewed it pompously: 'The tone of the book is comic, with some initial over-writing, but it takes a turn towards violence at the end. The likeliest scenes are in the local pub, but the Midlands town as seen by one who has become an outsider is sharply described. The reader, though, may well wonder whether the experiences recounted add up to anything of much importance.' The Spectator said 'Not the best of Burgess's books ...'; Punch said 'I do not quite understand why everybody refers to Mr Burgess as a funny man ...'. Burgess dolefully recounts these negative remarks in the second volume of his autobiography, You've Had Your Time (1990). The Worm and the Ring was published on 25 May. A number of characters in it were based heavily on Burgess's experiences teaching at Banbury Grammar School, and he found himself accused of libel by Gwen Bustin, the school secretary during Burgess's time there. The publishers Heinemann eventually settled out of court, but the book was pulped. 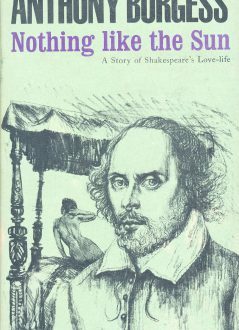 It was later revised, though not by Burgess, to remove the offending passages, and an expurgated edition appeared in 1970. 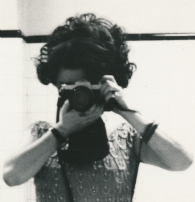 Devil of a State, a satire of colonial excess based on Burgess's experiences in Brunei, was published on 30 October. Reviews were mixed, but the Spectator said that 'Mr Burgess makes these people not only horrofyingly credible and brilliantly appalling, but also symptomatic of the collapse of the tradition they are hopelessly trying to prop up. His venom is sprayed with the accuracy of machine-gun bullets on exploiter and exploited alike'. By the end of 1961 Burgess had published seven novels and a history of English literature, as well as many reviews and articles. A Clockwork Orange was published on 14 May. While it sold modestly on its appearance, this disturbing, powerful and hugely imaginative novel gathered an underground following and became a global phenomenon after the release of Stanley Kubrick's 1971 film. The Wanting Seed, a dystopian novel about overpopulation and the horror of war, appeared on 1 October. Burgess was unhappy with the book, saying that 'it needed to be longer in the oven ... but I needed money'; though later complained that 'Harry Harrison, on his own confession during the downing of a bottle of scotch in my New York flat, stole the ending for the film of his [novel] No Room! No Room!, called Soylent Green.' (You've Had Your Time, 1990). 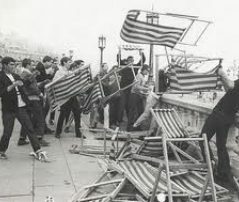 Rival gangs of youths, Mods and Rockers, fought each other in a number of holiday resorts on the south coast of England, sparking a moral panic. Burgess's treatment of gang violence in A Clockwork Orange was based in part on the rise of a new, more violent youth culture. Burgess's first completed novel, based on his wartime experiences in Gibraltar and illustrated by Edward Pagram was eventually published as Vision of Battlements. Tremor of Intent, partly a satire of Ian Fleming's James Bond, partly a meditation on guilt and Catholicism, appeared in June. Burgess later attempted to turn the novel into a screenplay for the Bond film The Spy Who Loved Me, but his script was rejected. 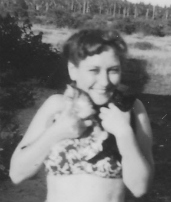 Lynne died of liver failure on 20 March, aged 47. Liana Macellari and Burgess were married on 9 September, and moved to Malta with Paulo Andrea, Liana's son, in November.